Luxury house plans are a unique and creative combination of both size and style. With the preliminary requirement of having an open budget, options for bringing a luxurious look to your house interior décor are endless. It can range from a few pieces of art to a velvet-quilted sofa in order to bring about a stylish, royal interior. Clean lines, sweeping light fixtures, plush and elaborate columns are a few areas that interior designers in Lahore focus on to create an opulent design. The epitome of a house that is luxurious is not just it being a well-appointed home. In fact, a luxurious house design would be one whose amenities allow the owner to feel lavished upon. 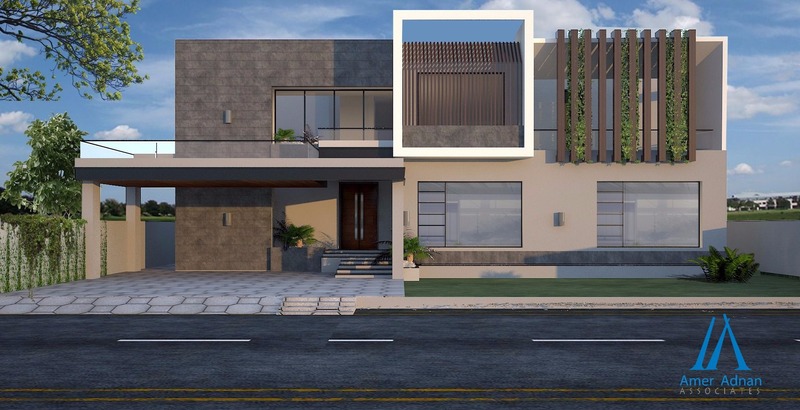 Below are four dominating ideas that modern house designers in Pakistan are concentrating on when designing a luxurious house. A home cannot count as ‘grand’ and ‘extravagant’ unless it has an entrance that leaves a lasting impact. Open floor plans triumph when architects sit to pen down their creativity at designing a luxurious house. A grand entryway with a large two-story staircase and an expansive open floor plan that is airy, sets the mood for a comfortable yet royal tour of the house. The travels of an affluent individual will almost always take them to some of the world’s best hotels and spas. Extravagant home owners seek to re-create such opulence into their daily lives via spa-like bathrooms. The design and layout of a spa bathroom includes massive walk-in showers, floors that have radiant heat, head-to-toe shower jets and a must have humungous soaker tub. Some people also incorporate a Jacuzzi in their spa bathrooms at home. Considering the purpose and number of hours spent in the bedroom, it is imperative that it comprises of a large open space. With a massive bed and plenty of seating areas along with a walk-in closet, the bedroom can have ceiling-to-floor length silk curtains to give it the ultimate luxury feel. Luxury demands top notch technology swiftly incorporated within the private abode. A built-in automation system for security, lighting, climate control along with remote control window shades are a few technology-based must haves. When one can afford a private fitness facility in their very home why bother with getting a gym membership right? The zenith of in-built exercise rooms would require plenty of space as well as gym equipment. As mentioned above, architects and interior designers focus on incorporating technology within the home premises in order to keep up with the needs of the era. Hence, a well-equipped, luxurious home gym would also feature built-in wireless speakers, LCD on the wall and a sauna or indoor pool for post-workout relaxation.